As you become increasingly familiar with kanji and their readings, it’s not surprising when you can pronounce a word for the first time at a guess and be correct. There are also times where you might be completely wrong, however. This post is about those times, and the reasoning behind what might have caused you to be wrong, which could be because of either Yamato kotoba or jukujikun, and their “irregular” readings. If you haven’t heard of Yamato kotoba before (大和言葉、やまとことば), they are old Japanese words that were around long before the adaptation of Chinese loan words and were used even before kanji was implemented as a writing system in Japan. The word Yamato itself (大和) is an “irregular” reading (of course). If forced to make an association linking the sounds to images (or kanji), “Yamato” to me could strike the image of 山戸, maybe, or possibly something else that makes some sort of sense if based on the sounds. How about “mountain-tomato” (やま plus トマト)? Why not? 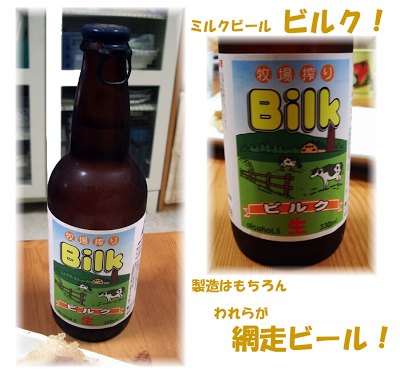 Haven’t you heard of ビルク, a word created from ビール and ミルク, or beer milk–A.K.A. “bilk”? The word Yamato was actually a name for Japan at that time, but today is of course known as Nihon (日本), literally meaning “origin of the sun”. Another historical name for Japan was 和 (wa) or 和国 (wakoku), meaning “country of harmony”, and can refer to Yamato. Back in the day (250-538AD), when kanji was first being used in Japan, the word Yamato was written with one single kanji, “倭”. It was then during the Asuka period after 538AD that Japan started standardizing place names with two character compounds, and 大和 was selected to replace 倭. The two new kanji in 大和 would represent “great harmony”, or more accurately “greater Japan”. As a note, in addition to “和” meaning harmony or peace, it can also represent Japan or Japanese, where words like 和風（わふう）mean “Japanese style” or “Japanese influenced”, and 和製 means “Japanese made”. There is also “和語”, or “wago”, meaning “native Japanese word(s)”, or in other words, Yamato kotoba. With the two kanji chosen to represent “Yamato” being “大和”, a reader unfamiliar with the word might embarrass themselves and read “daiwa”, or “oowa”, since most words abide by certain rules on how they are pronounced. Yamato kotoba are words that use kanji, but have no universal rule on how they are pronounced, meaning you simply must remember: “when those kanji are stuck together like that, it’s just pronounced that way.” It’s a bit like the opposite of 当て字, or ateji, where words are spelled using phonetic sounds of kanji, like in 亜米利加 (あめりか ・ America) or 伊太利亜 (イタリア ・ Italy), but don’t necessarily carry the meaning of the kanji. On the other hand, just because a word is spelled using kanji and has an “irregular” reading doesn’t automatically make it a Yamato kotoba– there are older loan words like “glass” (硝子） or “tobacco” 煙草 which have been historically spelled using kanji (but are now spelled using katakana). These kind of words are considered jukujikun (熟字訓), which are words spelled using kanji that preserve meaning but not pronunciation. Some more examples of jukujikun are 七夕 (star festival) from the characters “seven” and “evening”, or 仙人掌 (cactus) from the first two characters meaning “immortal wizard” and the last character meaning “hand”. While on the subject of kanji and their readings, although not Yamato kotoba or irregular, it wouldn’t be completely unrelated to also throw in 御・お・ご, the honorific prefix, where the pronunciation changes depending on which word it’s in. It’s pretty formal to write the honorific as 御, and so is often seen as simply ご or お, getting rid of the ambiguity of the kanji’s pronunciation. Keeping that in mind, if I were to write the word 御飯, would you pronounce it ごはん or おはん? There is something interesting about which sound the honorific takes, and whether it is either お or ご, which is, words that are of Japanese origin take the お sound, while words of Chinese (loanword) origin take the ご sound. (Note: it has been pointed out in the comments that this often not true, and the origin is ignored. For instance お茶 is of Chinese origin, yet takes on お, which is said to be used with words of Japanese origin). Here are some words with irregular readings, along with what they might be pronounced like, if ignoring they have their own specific pronunciations. If there are other words that you can think of that have their own readings, be sure to leave them in the comments!